Betsafe – Daily Kickbacks for Week 3! New rewards for the coming week! Don’t we love our casino extras, especially when they are available every single day? Good news! 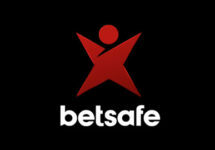 There is no slowing down at Betsafe as they just released a new set of offers, goodies and freebies for this week. Players can claim a daily casino kickback to boost their balance and enjoy extended playtime. More bonuses, cash-stacks, mobile rewards and risk free bets. Not to be missed. 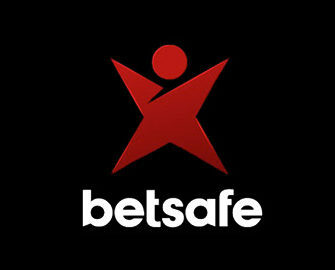 Players can claim daily rewards and offers at Betsafe throughout the week. Simply login and click on the current day on the promotion page to reveal the latest offer or reward. They can be Cash-Stacks, Free Bets, Free Spins, Deposit Bonuses, Tournaments, Happy Hour, Lunchtime Power Hour and more. OPT-IN is required for every promotion. Monday: Slots Cash Stack – Play on Troll Hunters and receive a 50% bonus on winnings, up to €50. Credited on Tuesday with a 1x wagering requirement. Tuesday: Slots & Blackjack Tournament – choice of 2 tournaments where the player with the highest winnings over 20 consecutive spins or 50 rounds is the winner. To qualify a minimum spin of €0.20 or a bet of €1 is needed. Each tournament prize is credited the following day as a bonus with 2x wagering requirement. Wednesday – LIVE Casino Risk Free Bet – Deposit and bet on the exclusive LIVE Betsafe Blackjack table minimum €10 and receive a €10 bonus if the bet does not win. Bonus is credited the following day by 18:00CET and carries a 1x wagering requirement. Saturday: Mobile Madness – OPT-IN from any mobile device and wager €150 on any mobile slot on Saturday and/or Sunday to receive instantly 50 Free Spins per day and another 20 BIG Spins on Tuesday by 16:00 CET. All spins are on Gonzo’s Quest and winnings carry a 35x wagering requirement within 3 days. Sunday: 25% LIVE Casino Cashback Bonus on net losses, up to €100. Play Blackjack or Roulette in the LIVE Casino to qualify. Cashback is credited on Monday by 16:00 CET and comes with a 10x wagering requirement within 3 days.